On February 8, 1998, four days after his 11th birthday, my healthy, athletic son Chase Kluth was diagnosed with a teratoma brain tumor. Two weeks later Dr. Michael Handler and Dr. Nicholas Foreman concurred that the tumor had to be surgically removed. Despite surviving a successful 8 hour surgery, complications set in requiring emergency surgery. This second surgery left Chase in a coma for months, rendering him with a traumatic brain injury. Although Chase learned how to function on a much smaller scale, two years later, 5 more cancerous brain tumors were discovered. 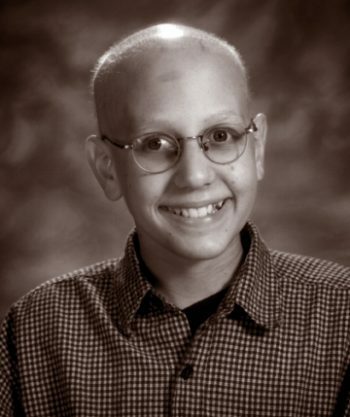 After major efforts of chemotherapy and Chase’s incredible courage and tenacity, the battle was lost on August 10, 2002. The Lord took Chase home at the age of 15. Chase’s life was short but cherished by many. His gift of life will live on forever.